Yesterday a white van drove into a group of Muslims exiting a mosque in London, killing one and injuring others. The culprit was identified as a 48-year-old man who is suspected of looking for revenge just days after a similar incident took place on a famous bridge in London. Crowds immediately subdued the suspect at the crime scene and an imam calmed them down before things got out of hand and until authorities came and arrested the man. The growing tensions in the West between radical Muslims and those who feel victimized by the repeated terrorist attacks on civilians is beginning to result in attacks happening almost every week. And another tragic story has now emerged in Virginia in the United States. A seventeen year old girl, garbed in the traditional hijab and her friends were leaving a mosque after their evening prayers during the holy month of Ramadan. 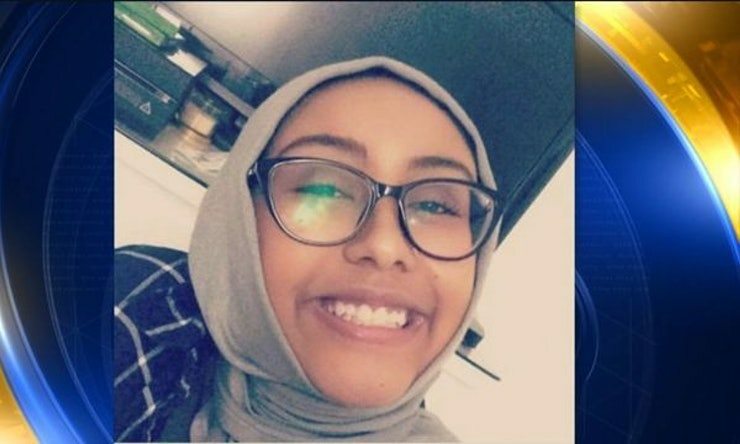 The victim, identified as Nabra Hassanen was kidnapped in front of her friends. She was soon reported missing by her loved ones. Shortly after, Darwin Martinez Torres, 22, was arrested by police and taken in for questioning. A second suspect is still at large, and authorities are still working to determine the reason for this attack. At the moment, they haven’t yet ruled out as to whether it was motivated based on her religious beliefs. Meanwhile, ADAMS has released a statement, saying, “We are devastated and heartbroken as our community undergoes and processes this traumatic event. It is a time for us to pray and care for our youth.” Over $160,000 has already been raised for the family of Nabra after the tragedy. Next articleHere Are All The Nominees For The Teen Choice Awards 2017!